This text examines key themes pertaining to the study of race and electoral politics. Addressing an issue which is of immense topical interest, it offers comprehensive coverage of key topics. Providing both an historical and theoretical analysis of race and ethnicity in politics, the contributors examine the participation and influence of ethnic minorities in electoral politics at both ends of the political spectrum. 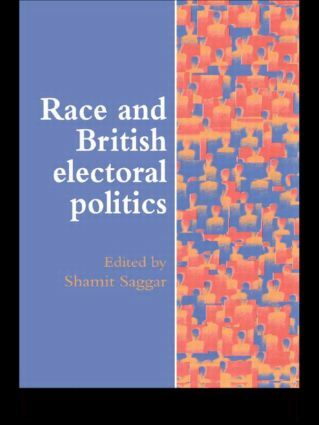 "Race and British Electoral Politics" should be of value for students studying British politics, particularly those taking course options on electoral politics, race, ethnicity and comparative politics.